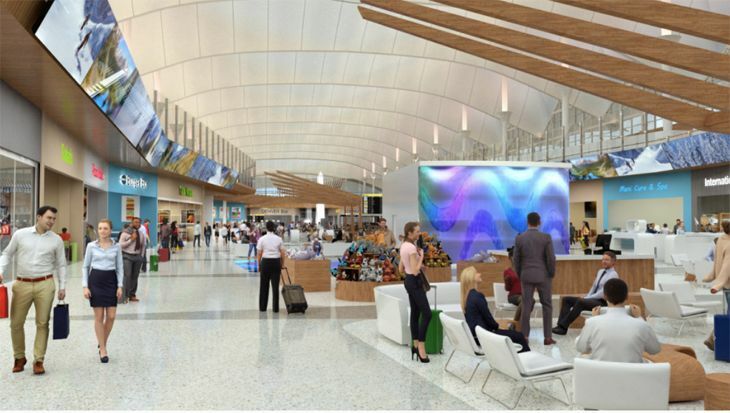 In the latest airport developments, Denver International outlines a major transformation coming to its main terminal building; American Airlines plans big improvements for Terminals 4 and 5 at Los Angeles International; San Diego will debut airport-wide gate delivery service for passenger purchases; Las Vegas McCarran gets a new access road; and American Airlines opens an Admirals Club at Houston Bush Intercontinental. Los Angeles World Airport and American Airlines are working on a new 15-year lease that would provide for $1.6 billion in improvements to AA’s Terminals 4 and 5 at Los Angeles International. The project, which would happen over the next seven to 10 years, calls for the gradual demolition of the T4 and T5 lobby areas. 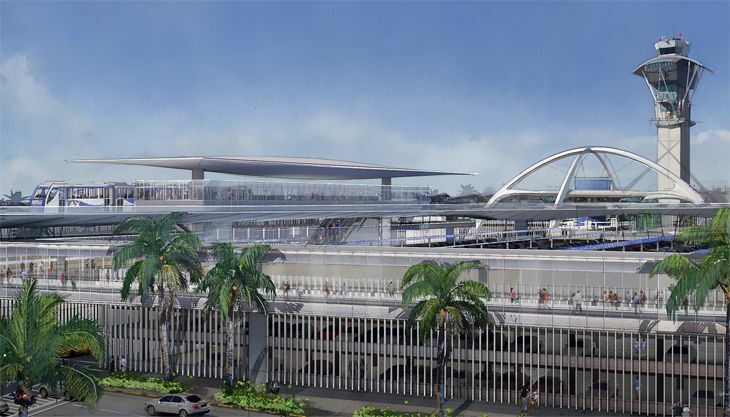 They would be replaced by a new facility including a new “vertical circulation core” connected to the airport’s planned landside Automated People Mover train system. The project would also provide combined passenger check-in and baggage claim areas for the two terminals; a centralized security screening checkpoint for both terminals on the level of the people-mover system; and connecting the two terminals on both the landside and airside, including an above-ground connector that runs from the T4/Bradley Terminal connector to T5 on the airside. The new lease would also provide for American to add more gates at LAX in the future. A new service for travelers at San Diego International will let them order food or retail items via their phone and have it delivered to their gate, anywhere in the airport. The new service is expected to launch this summer, using the mobile ordering app called Grab and delivery service provided by a vendor called AtYourGate. 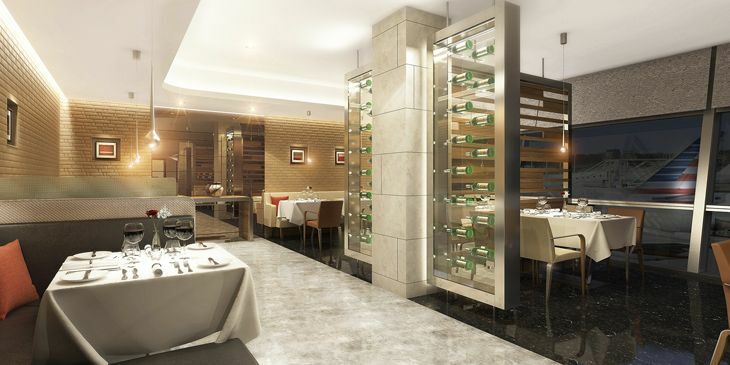 “The app enables time-pressed travelers to pre-order restaurant and retail service items for pick-up. 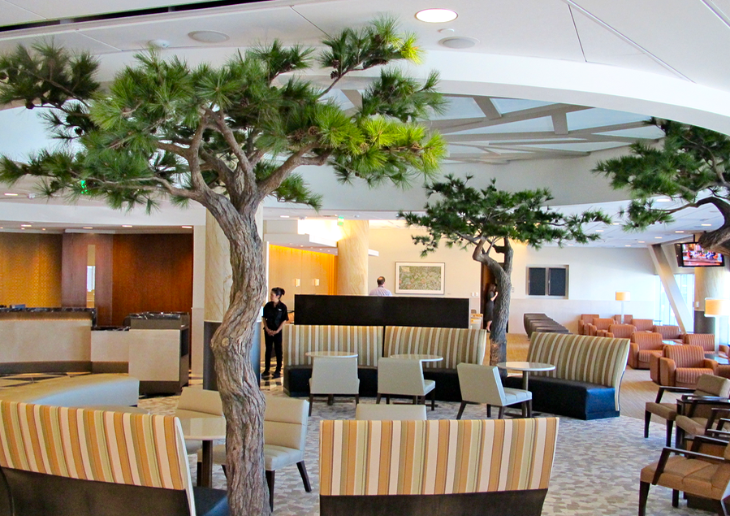 AtYourGate will take the service one step further by delivering items to busy travelers and flight crews while they wait at their gate,” the San Diego County Regional Airport Authority said. 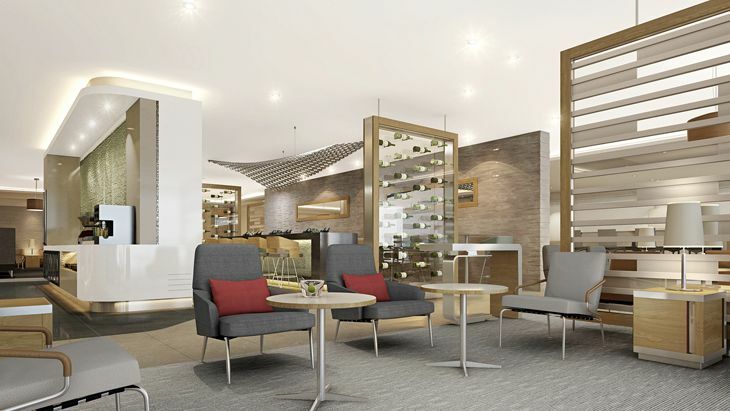 It’s believed that SAN will be the first major airport in the country to offer the service. 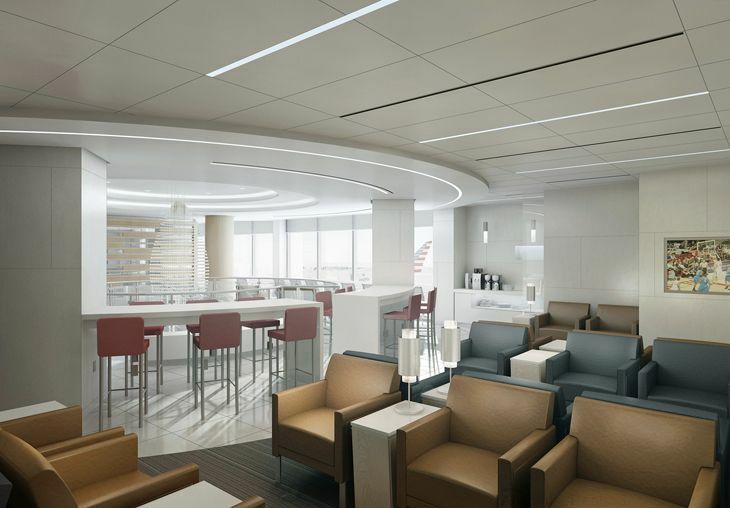 It had a soft opening several weeks ago, but June 12 marks the grand opening of an American Airlines Admirals Club in Terminal A at Houston Bush Intercontinental Airport. 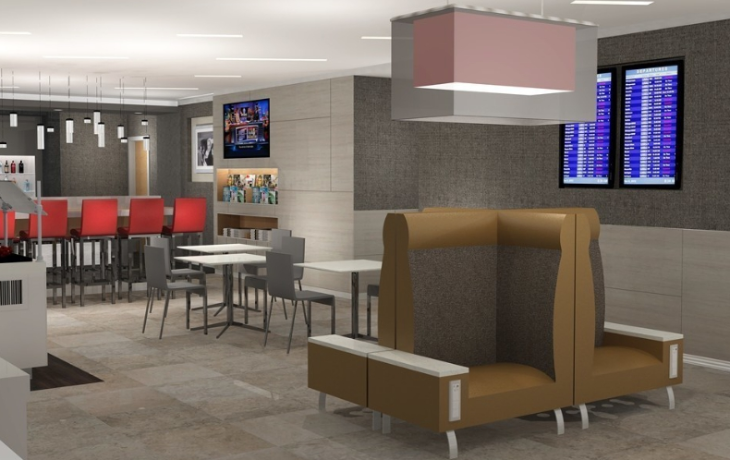 Since American only has a few dozen flights a day at IAH, it’s not a huge facility – about 4,400 square feet — but it offers seating for 87 persons, a business center, and lots of outlets for recharging devices. Free snacks and alcoholic beverages are provided in the club, and so are salads and sandwiches for purchase. Have you ever been stuck in traffic heading south out of Las Vegas McCarran Airport on the so-called Airport Connector tunnel to the eastbound lanes of the I-215 Beltway? Those traffic problems should be eased following the opening this week of a new half-mile-long “flyover” ramp that links the Connector to 215. Before the ramp opened, vehicles had to slow down to navigate a sharply looping ramp from the tunnel to the Beltway. Las Vegas officials said some 20,000 cars a day are expected to benefit from the new ramp, according to the Las Vegas Review-Journal.